One of the best-known and best-documented CLOSE ENCOUNTERS OF THE THIRD KIND to come from the modern era of UFOlogy is that which allegedly took place on August 21-22, 1955, near Kelly, Kentucky. This case is distinguished by its duration and also by the number of witnesses involved. 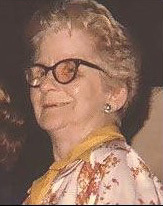 The main points of the case have been discussed by several authors, including Dr. J. Allen Hynek, who devoted six pages of his 1972 book, The UFO Experience, to it. 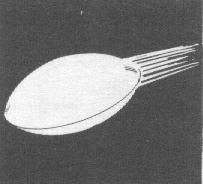 A 1979 publication from the CENTER FOR UFO STUDIES (CUFOS), authored by Isabel Davis and Ted Bloecher, puts the Kelly/Hopkinsville case into context with other CE III cases from 1955 and contains maps, illustrations, and photographs of the site, the creatures, the UFO, and the witnesses of one of the more fascinating CE III cases ever to occur in the United States. The scene was a small farm outside of the Kentucky town of Kelly. Inside the farmhouse were eight adults and three children. The night was dark, clear, and hot. At about 7 PM, Billy Ray Taylor (a friend of the Suttons and owner of the farmhouse) came in from the well with the "wild story's that he had seen a really bright "flying saucer," with an exhaust all the colors of the rainbow, fly across the sky and drop into a forty-foot gully near the edge of their property. However, the Suttons did not take him seriously and laughed the story off as an embellishment of his seeing a "falling star." Half an hour later the family dog began barking violently and eventually put its tail between its legs and hid under the house. The two men, Billy Ray Taylor and Lucky Sutton, went to the back door to see what was bothering the dog and noticed a strange glow approaching the farmhouse from the fields. When the light came nearer, they resolved what caused it: a glowing three-and-a-half-foot tall creature with a round, oversized head. The eyes were large and glowed with a yellowish light; the arms were long, extended nearly to the ground, and ended in large hands with talons. The entire creature seemed made of silver metal. As the creature approached, its hands were raised over its head as if it were being held up. Understandably startled, the two men reacted by grabbing their guns: a 20-gauge shotgun and a .22 rifle. Withdrawing slightly into the house, the men waited until the creature was within twenty feet of the back door and then fired; the entity flipped over backward and then scurried off into the darkness. After a few minutes, when it did not reappear, they returned to the living room only to see another (or the same) creature at a side window. They fired through the window screen at it, and again the creature flipped and disappeared. Sure that they had hit and disabled the creature, the two men went outside to find the body. As they started out the front door Billy Ray, who was in the lead, paused for a moment underneath an overhanging roof. Just as he was about to step into the yard, those in the hallway behind him saw one of the creatures on the roof reach down a taloned hand and touch his hair from above. The people indoors screamed and pulled him back inside. Lucky Sutton rushed out into the yard, turned and fired pointblank at the creature, knocking it off the roof. There was another creature in the maple tree close-by. Both Lucky and Billy Ray fired at this one and knocked it off the limb; it floated to the ground and then ran off quickly into the darkness. Immediately, another entity (or perhaps the one that had been knocked off the roof) came around the side of the house almost directly in front of the group. Lucky fired his shotgun at point-blank range and the result was the same: no effect. A sound was heard as the bullets struck, as if a metal bucket lead been hit, but the creature scurried off unhurt. Understandably concerned that their guns were apparently useless, the men returned to the house to join the frightened women and children. The creatures generally moved in a peculiar fashion. The legs appeared to be inflexible and when they ran, movement was accomplished almost totally by "hip motions." Usually totally erect, when they ran off they bent over and moved with long arms almost touching the ground. The entities' ability to float was particularly evident when one was knocked off the kitchen roof and floated a distance of about forty feet to a fence, where it was knocked off again by a shot. While they did not appear to have an aura of luminescence, their "skin" glowed in the dark with the glow becoming brighter when they were shot at or shouted at. After a half hour's travel time, the police arrived back at the farmhouse with the still-frightened family. The Hopkinsville police, the state police, and a staff photographer arrived to investigate the situation. A thorough search was made of the house, the yard, and the outbuildings. Nothing was found, and the tension ran high: When someone accidentally stepped on a cat's tail and it yowled, "you never saw so many pistols unholstered so fast in your life!" The searchers checked out the woods area but found nothing. One unusual item that was found was a luminous patch where one of the creatures had been knocked off and fallen to the ground. However, when nothing really extraordinary appeared, the searchers began to leave and by 2:15 AM., the Sutton family was alone. The next morning, investigators came back to search the farmlands during the daytime. Nothing was found even though some even climbed to the roof of the house to look for footprints. The press got hold of the story; besides the reporter who had accompanied the police out during the night, the local radio station and many reporters from other papers in Kentucky, Indiana, and Tennessee arrived at the Sutton house. As the news spread, the general public began to show up and cars were backed up for a considerable distance down the road from the Sutton farmhouse. Sightseers stopped their cars, walked through the property, in and out of the house, annoyed the family with requests for pictures and, in general, created a carnival atmosphere the upshot of which was to generally ridicule the family for having seen "little green men from space." However, on that same morning, Andrew Ledwith, an engineer with the local radio station, decided to stop into the station for a talk with the chief engineer (it was Ledwith's day off). 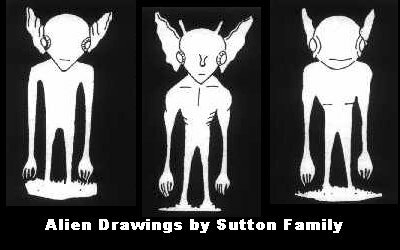 He learned of the happenings at the Sutton farm the night before and because of his interest in UFOs and his previous experience as an artist, he decided to go out and interview the family. It is fortunate that he did. The publicity became so obnoxious to the Sutton family that they later simply avoided telling the story and refused to cooperate (one notable exception was with Isabel Davis, who prepared the Kelly report for CUFOS). The drawings that Mr. Ledwith created on the afternoon following the sighting are illustrated above. How can such a tale be accepted at face value? one asks. After all, the family itself was considered of "low social status" by the townspeople. Two of the men had worked for a carnival; it could be argued that they were familiar with the art of the trickster. The most telling criticism of the incident, however, is that there is absolutely no physical evidence whatsoever that the incident actually occurred. Skeptics point out that no footprints were found (the ground was extremely hard), no marks were on the roof (although the creatures seemed nearly weightless and may not have left marks), there was no blood on then, the bullets did no apparent damage), et cetera. One could thus conclude that the family "faked" the entire incident. However, investigators who interviewed the Suttons afterward painted a picture of them that is quite different from the sort of people who could fabricate an elaborate hoax: They were uneducated, simple farm folk with no apparent interest in exploiting the rather considerable publicity that they engendered. Did "creatures" really visit the farmhouse in Kentucky on that night of August 21, 1955? Or did the many witnesses, mostly adults, excite themselves to the point of exaggerating some lesser stimulus? The Kelly/Hopkinsville case still stands as one of the more provocative CE III events to date.